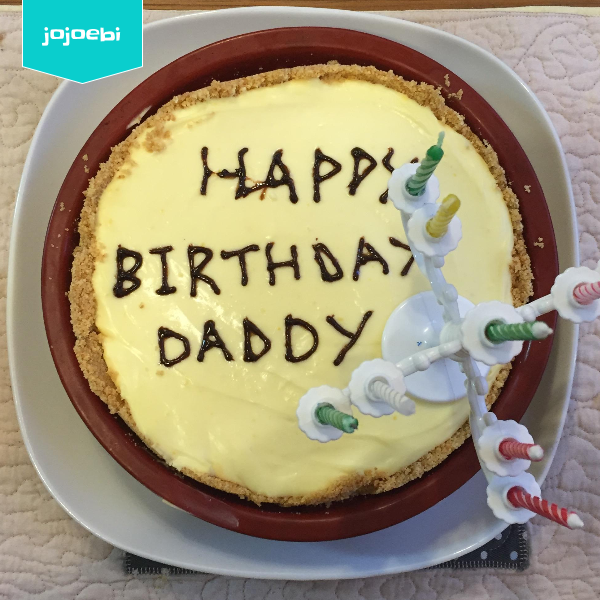 jojoebi designs: Happy Birthday Daddy Ebi - only 2 weeks late! Happy Birthday Daddy Ebi - only 2 weeks late! Waaahhhhh I just realised that the posts I had sent up hadn't published!! That's why nothing has been going out all week! I batch my posts so that there is regular posting, big fail! 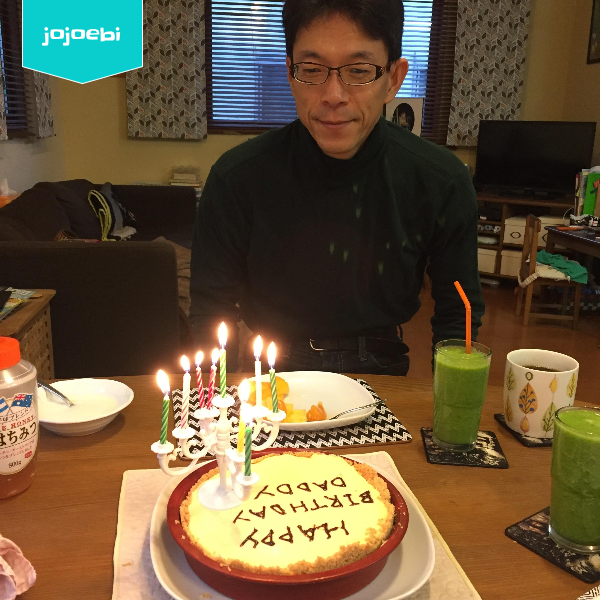 Anyway, it was Daddy-Ebi's birthday at the start of the month so Ebi-kun decided to make yuzu cheesecake. I was very nice but we couldn't get it out of the silicon pan! O do have a small loose bottom pan but it was too small for the recipe. Oh well! It tasted good and that's what's important. Daddy gets home late so we have the birthday celebrations in the morning before school/work. Cake for breakfast and why not! To offset the cake calories we have green smoothies too! 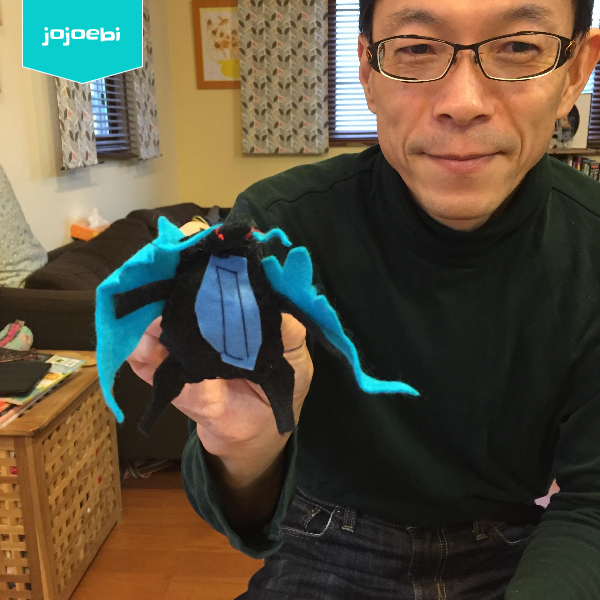 Daddy is somewhat addicted to PokemonGo so Ebi-kun designed and hand stitched a Mega Charrezard - I have no idea if that is spelt correctly, we didn't learn Pokemon spellings in school back in the day!